Let's Talk AAC: "Research supporting AAC devices in children with autism?" Welcome to our first Let's Talk AAC post! 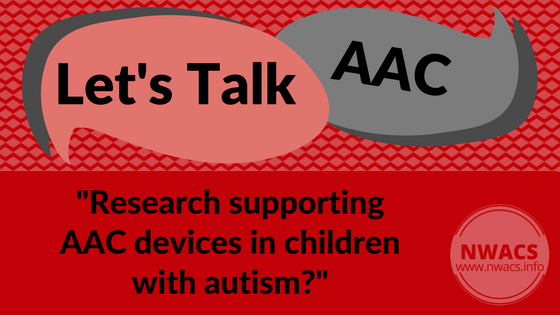 Let's Talk AAC will be a series of questions and topics for discussion that we hope will be another useful resource. NWACS will occasionally post a question or topic along with some related information. We hope that you will join in the conversation by adding your experiences, resources, related research, etc. in comments so that we can all learn and benefit from each other's knowledge.